Baha Mar, fraught with controversy from day one, is bordering on becoming known as a failed experiment. On Monday, The Bahamas – and the world – was shocked by the surprise announcement by Baha Mar CEO Sarkis Izmirlian that Baha Mar had filed for Chapter 11 bankruptcy in a Delaware Court in the United States “in order to complete construction and successfully open.” What’s more, on Tuesday, Baha Mar filed legal action against China State Construction Engineering Corporation Ltd (CSCEC), parent company of its general contractor China Construction America (CCA), claiming $192m in damages in the UK High Court. What’s more, Baha Mar asked the Delaware court to approve a motion that would prevent Bahamian utility providers from discontinuing their supply, meaning that BEC, which is owed $19m, the Water & Sewerage Corporation, Cable Bahamas – which is owed more than $1m – and the Bahamas Telecommunications Company cannot simply “turn them off”. In the face of the recent happenings at Baha Mar, I would like to call for the immediate resignation of Prime Minister Perry Christie. On one hand, the resort’s principals filed for Chapter 11 bankruptcy protection in the US and on the other they sought to hold the construction company accountable for the performance/completion guarantee it made on its subsidiary’s behalf and seek financial remedies for alleged liabilities. CCA has been blamed for repeated opening delays resulting in substantial revenue losses and the resort’s inability to open. The initial opening date was December 2014. No doubt, this means that the relationship between the Chinese and the Izmirlians has soured, that there are irreconcilable differences that have seemingly crossed the threshold of no return. If one reads the tone and tenor of court documents filed on Baha Mar’s behalf, one can tell that there’s no love between the two sides, that whatever merriment existed at the beginning of the relationship has been replaced with abhorrence. I also know that, to use the Bahamian phrase, the Chinese “don’t take last” so I expect a fight. The Chinese do not take well to public censure or being embarrassed. The Chinese invented chess and we have yet to see their response to Baha Mar’s law suits. But, by the language of the court filings, it appears that it was felt that the Chinese were playing hardball and so now the principals of Baha Mar have engaged the Chinese in a game of geo-political chess. No doubt, Baha Mar’s sneaking in of these actions was meant to catch CSCEC and the Chinese government flatfooted. That they did. Their filings for multiple companies in multiple jurisdictions (soon the Bahamas) was a monumental effort and did not materialise overnight. In order for the various legal teams to have launched these actions one after the other, their working must have been in sync and it would have taken between one and three months to comprehensively compile all the documentation for the various companies. This was a well-co-ordinated strategy that was likely taking place whilst the Prime Minister – at least in his mind – thought he was meeting and striking deals as the national mediator. Politically, the governing party is on the bubble. This week’s court filings were disappointing and a disastrous blow to the hopes of many unemployed people and the government’s plans to revitalise the economy. The debacle at Baha Mar is a strike to our economy of seismic proportions. Baha Mar has been viewed as the economic saviour by the current administration, one that would employ 5,000 people when it opened. Frankly, for some time now, political intervention has kept Baha Mar afloat. The economic recovery that Perry Christie promised was hinged on Baha Mar. The government literally banked on Baha Mar. Mr Christie bet all his marbles and his legacy on Baha Mar. Today, our country’s economy and the lives of many is held in abeyance pending the outcome of Baha Mar’s various legal actions. We should never have come to this. Today, after all the bombast surrounding the development, every time I turn on the radio, read the papers or watch the news, there’s an aura of depression and deflation. At present, our economic growth already lags behind all governmental projections for growth. 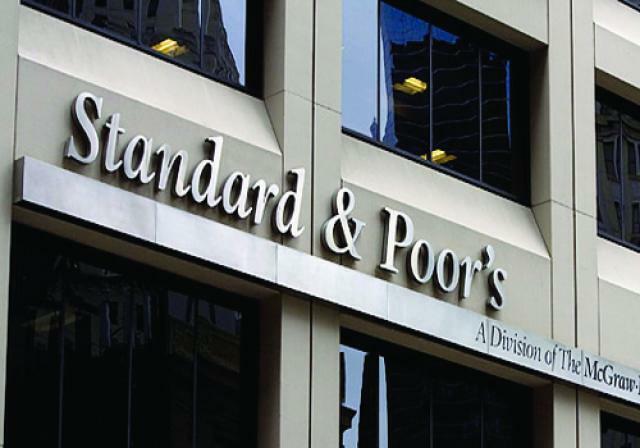 I expect that we will now see another credit downgrade by the international rating agencies. I’m stunned by the Prime Minister’s utterances leading up to this situation. It seems that all along, Mr Christie may have been playing “shuttle diplomacy” (or “shuffle diplomacy”) where, at the end of it all, he was “shuffled off” and blindsided by Baha Mar’s principals though he was telling the public about his “very encouraging calls” and rushing from Parliamentary debates. On June 17, Mr Christie said he planned to meet with Mr Izmirlian to discuss “good” news upon the latter’s return from China for talks with the resort’s financier, China Export-Import Bank. Two weeks ago, when Christie, Deputy Prime Minister Brave Davis and Dr Bernard Nottage were attempting to shut down the Budget debate and shut up Andre Rollins, he again claimed he had pressing matters to take care of with Baha Mar and held a folder in his hand that led many Bahamians to assume he had a positive sounding memo therein. I’ve said to more than one person that he should have been asked to table that folder and whatever was in it. What was the “good news”, Mr Prime Minister? 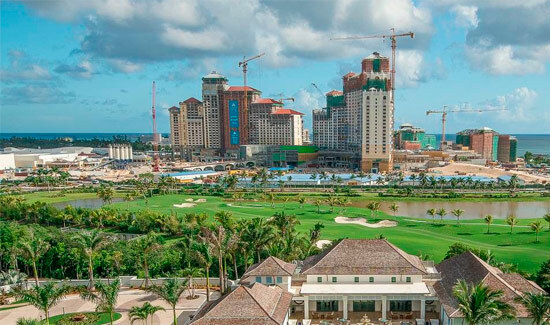 What’s more, during his Budget communication on May 27, an overly sanguine Mr Christie said Baha Mar’s developer was nearing the end of talks with CCA on the completion of the project and the announcement of the resort’s opening date. On May 11, he expressed optimism after mediating a meeting with Baha Mar, CCA and the Chinese ambassador. 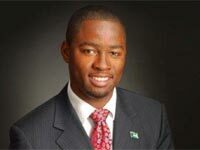 He said he “articulated a position” that would result in a “shared position” between the three parties, which would give “priority” to the “interests of Bahamian people,” the resort and CCA. Obviously, whatever Mr Christie thought he articulated so well was lost in translation! The necessary attention that ought to have been applied to this project was seemingly not paid. How could the Prime Minister have been blindsided? He promised that help and hope was around the corner. But, he has admitted to being caught unawares. And, does this mean that the developers did not have the courtesy to at least give the Prime Minister and his Cabinet a heads-up? Has the developer lost respect for them? After indicating that his administration was blindsided by the bankruptcy filing, Mr Christie said that the decision by Mr Izmirlian came at a point when his personal intervention with all parties involved led to a substantial agreement on a packaged solution for additional funding by the China Export-Import Bank, which was relying on the $3.5 billion project to revive both the economy and employment situation. But, how the heck is one caught unawares when every document the government sends to the International Monetary Fund (IMF), the Inter-American Development Bank, Moodys, Standard and Poor’s, etc, are all predicated upon Baha Mar? Surely, since we put all our eggs in one basket, we should now expect our sovereign debt rating to be downgraded. The Prime Minister has been left with egg on his face. How can one have glamorous press conferences but, thus far, fail at seeing the successful launch of Ginn, the I-Group and Baha Mar? With all of these supposed major projects, as it stands, Mr Christie – who signed the initial agreements with each – has struck out. While I’m at it, has everything relative to the electrification of Baha Mar by Bahamas Electricity Corporation (BEC) been put in place? Was the $19m owed to BEC being held as leverage until the government paid its end of the road works deal? Baha Mar should have been built in phases. In my opinion, the construction project has not been properly managed. It has been near catastrophic. Admittedly, Baha Mar’s filing for bankruptcy is a good strategic move but a bad public relations move as it relates to doing business in The Bahamas. It gives the Izmirlians wiggle room to figure out what comes next and they may well have averted – at least for now – a hostile takeover by the Chinese. Their filing for bankruptcy buys the developer more time. They can restructure the finances. Izmirilian still has control of the operation and has a “breathing space” of three weeks to 30 days in which to develop a plan to reorganise its financial affairs – with or without the Chinese. I am most saddened by the impact that this would have on Baha Mar’s workers and their families, when I think that 2,000 people may soon not be able to pay their rent, their mortgages, their car notes, their children’s school fees, their utility bills or to even go to a food store and pick up a few items for their households. Where are the counsellors for these people who will no doubt become depressed? What is the Ministry of Social Services doing? This will have far reaching effects. When 2,000 employees have been furloughed and don’t know where to turn next, we have a major problem on our hands. As it stands, Baha Mar has only committed to paying these workers’ salaries and benefits for the next three weeks until it begins court hearings on its bankruptcy claim. People’s livelihoods are at stake. We have recently had 6,000 high school students graduating into a depressed economy. With unemployment, especially youth unemployment, already high, what impact will this have on our society? What about all those people who left their jobs to join Baha Mar? The government needs to address the issue of Roderick Bowe, who is the Director of Security at Baha Mar and remains the Commodore of the Royal Bahamas Defence Force (RBDF). Mr Bowe is apparently on pre-retirement leave and therefore no substantive Commodore can be chosen until that is resolved. However, in the face of recent happenings at Baha Mar, could Mr Bowe be considering a return to the frontlines of the RBDF? I see all these commercials about a Stronger Bahamas, but surely this cannot be what a stronger Bahamas looks like? Baha Mar has had countless tax breaks and sweet, sweet deals from consecutive governments. 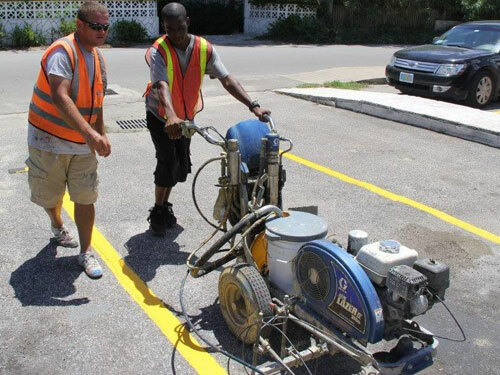 And, on top of it all, it was able to purchase Crown land at rock bottom prices and, even more, 8,000 Chinese labourers were given work permits and allowed to come into the Bahamas – all in an effort by the Bahamian government to see this project come to fruition. It is anticipated that an application will soon be filed locally which will entreat the Bahamas’ Supreme Court to affirm orders made by the Delaware Bankruptcy Court in relation to Baha Mar’s Chapter 11 filing. Let’s be real. If the Chinese get a hold of Baha Mar, we would have lost a major part of our economy to a foreign power. Indeed, the government has to monitor this closely. The Chinese cannot be allowed to foreclose. I imagine that if the Chinese government owns Baha Mar, our tourism goose could be cooked as they could take room rates as low as $60 per night and Atlantis – for one – would certainly not be able to compete. If Sarkis Izmirlian is clever – and his recent moves tell me that he is – he would be fully engaged with other financiers. The country has been in angst about this deal for a decade. It’s time to bring it to a head. I would like to see the Heads of Agreement signed between our government and Baha Mar and also the agreement involving the Chinese Export Import Bank, particularly as it relates to governmental concessions. This is, yet again, one of the reasons why a Freedom of Information Act is so vital in a modern Bahamas. And since the contractor has been accused of shoddy work at Baha Mar, where were the Ministry of Works building inspectors? Is it true that the China Export-Import Bank blocked the government’s move to pay $21m of the disputed ‘roads re-routing’ to Baha Mar to help it with payroll by simply arguing that the funds were not to be used for that purpose? How is this possible; how is the bank dictating to the government? The public has lost faith in Sarkis Izmirlian. He should look to sell off Baha Mar, even if he sells one hotel at a time to different owners. In Las Vegas, different hotels owned by different people are in close proximity just like the hotels that comprise Baha Mar. These hotels could all have relationships with the other, just look at Comfort Suites and Atlantis. We need to stop relying on foreign investors and entities such as Baha Mar to save our economy. Singapore has given us a model to follow and I think we should study it intently. Our country cannot be subjected to the whims of a single investor, or two or three. When will our governments learn to help to empower our own people to be owners and entrepreneurs and not merely job seekers? In the long run, will creditors possibly move to wind-up Baha Mar? Baha Mar should have been built in phases. In my opinion, the construction project has not been properly managed. It has been near catastrophic. There are even suggestions that prisoners were brought over to do a lot of the work on the resort. The workers didn’t appear to be top-class, skilled workers. Could it be true? Where have all these workers, locked out of the construction site, been released to? In the face of the recent happenings at Baha Mar, I would like to call for the immediate resignation of Prime Minister Perry Christie. I think as a nation, we are collectively despairing about this episode. Governments have resigned for this and when one couples this with the scandals and the most egregious situation in Marathon – where the government sat on an oil spill report for a year whilst Bahamians lives were at risk – these folks have lost their mandate to govern us. 6. Apart from writing off $7.5m in real property tax, some $5.9m of which is past due, the government is giving Baha Mar a “20-year moratorium” on real property taxes from February 2011. 9. Baha Mar owes a $250,000 annual casino licence fee. “The procedures outlined in these guidelines apply to all contracts for goods and works financed in whole or in part from Bank loans. “For the procurement of those contracts for goods and works not financed from a Bank loan, the Borrower may adopt other procedures. Apparently, investigators determined that there was evidence of CSCEC collusion for bank funding in the Philippines, that there had purportedly been instances of fraudulent practices. Buying Bahamian property is the worst investment I have ever made in my life, I should have listened to all the Canadian friends of mine who warned me about the Bahamas. Good riddance to this country and it’s corrupt government.